Which was the "Industry Shaking" Announcement, Konami? In case you didn't notice, there was a lot of Metal Gear news on the Internet today. Konami threw an all day birthday bash in the streets of Roppongi to celebrate the iconic series' 25th anniversary, and all the big stars of Japanese gaming attended for what was said to be announcement that would "shake the industry." But so many announcements were actually made that it's hard to tell which announcement was "the big one." Tossing aside all the ones that obviously do not fit the bill, the two key contenders are the announcement of the Metal Gear Solid produced by Columbia Pictures and Israel-American entrepreneur and Marvel Studios founder Avi Arad, and the debut of the latest Metal Gear Solid game subtitled Ground Zeroes. First up, Kojima announced that the looooong rumored Metal Gear Solid film finally has some traction. Kojima himself is a huge movie buff, and didn't wish to leave his beloved franchise in the hands of just any old Hollywood producer. He claimed "he'd been searching many years for someone who could realize the project," and "he believes Arad can definitely do it." Arad was also present and "promised to make a fantastic movie that stays faithful to the spirit of Kojima's Metal Gear." The other big announcement of the day was the debut of Metal Gear Solid: Ground Zeroes and the unveiling of Kojima's new graphical powerhouse, the Fox Engine. 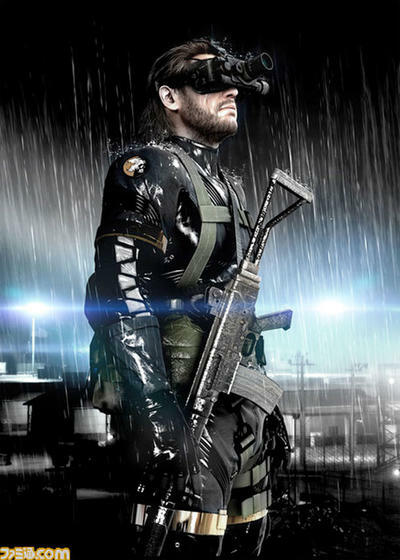 The game drops gamers back in the shoes of Big Boss, sporting a snazzy pair of Sam Fisher goggles which cleverly covers up Big Boss' trademark eye-patch. The MSF patch on his shoulder though is a dead giveaway to the timeline, and my guess is we'll get to witness Big Boss succumb to his distorted ideals and fall from favor with all those around him. Beyond that, its an open world game with the freedom to stealth about as the Big Boss pleases rather than stick to a linear trail. More to come eventually of course. Two months ago, it was just short of confirmed that Solid Snake would be returning to Metal Gear Solid 5, but hey…this isn't Metal Gear Solid 5, and there is still a chance for that to happen as well. The big question now is "Which was the big one Konami?" Both are pretty big announcements that are sure to get the fanbase pumped and excited, but at the same time, neither was especially earth shattering either. I'm leaning towards the Hollywood film. New games from popular series and new graphical engines are announced almost on a weekly basis, and while video game films are a dime a dozen these day too, this is a Metal Gear Solid film being produced by the founder of the world's leading comic book movie film studio. The huge nod from Hollywood is a telltale sign of how far gaming has come and a precedent showing game movies might actually get some respect in the near future. Even still, I would rather just play the new game. It sounds awesome.